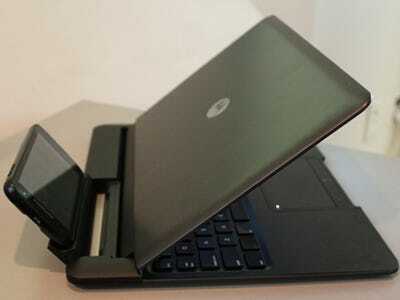 If I had gotten my hands on a Xoom a year ago, I’d be insanely impressed with what Motorola and Google pulled off.Instead, I only have lukewarm feelings about the tablet that’s supposed to be the biggest threat yet to the iPad. I like the design. It feels solid and unbreakable in my hands. There are no physical buttons on the front, which is a neat touch. It’s heavy. 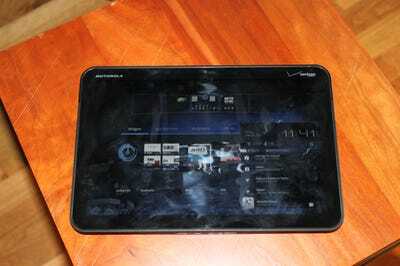 I can see this wearing users out after using the Xoom for a long time. The screen is dull. At first I thought the default brightness setting was low, but I barely noticed a difference after cranking it up to the maximum. The camera is horrible. I took a video and it froze twice during recording. (I’ll post the video later so you can see for yourself). 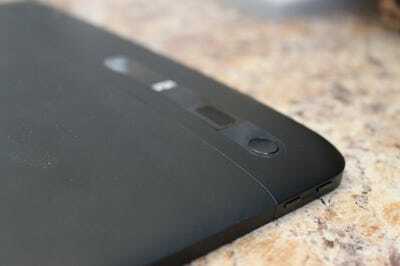 The screen and the rubbery back are fingerprint magnets. After just a few minutes of use, the entire device was covered in smudges. Honeycomb is nowhere near as polished as iOS for iPad. It’s apparent in everything from the app crashes I experienced to the confusing layout of menus. The web browser is excellent. 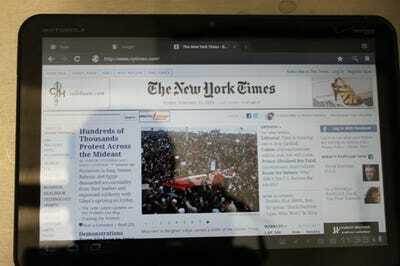 I can’t believe it took this long for someone to finally bring tabbed browsing to a tablet. 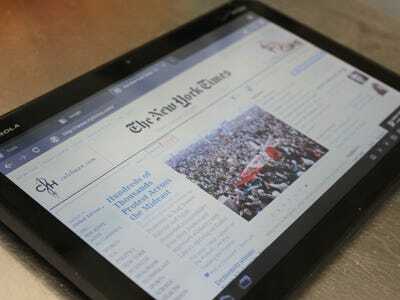 Many websites still load mobile sites when you visit them on the Xoom. That’s annoying, since those sites are designed for phones, not tablets. Pinching and zooming web pages and images is laggy and jerky. 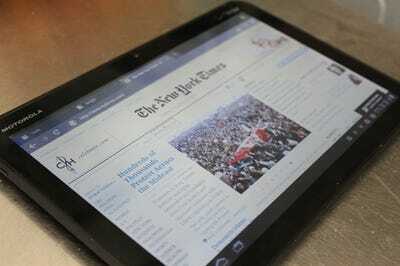 It’s nowhere near as smooth as the iPad. The new Gmail app is great too. 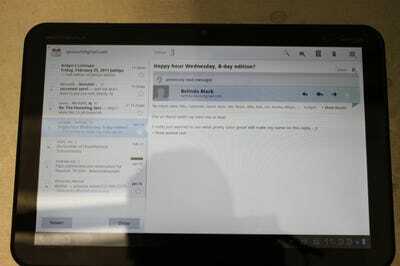 There’s a nice panel to the left for your inbox and messages are displayed in a wide view to the right. The Android Market has been redesigned for Honeycomb, but searching for the app you want is still difficult. And since only a few developers got early access to the SDK, there aren’t many Honeycomb-only apps available yet. 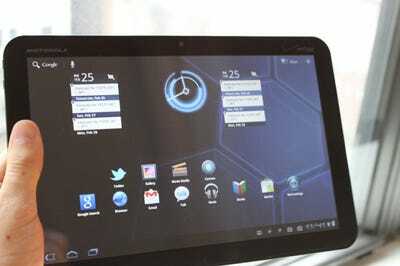 All that being said, there’s no question that the Xoom is the best alternative to the iPad right now. But the most important thing to consider before you run out and buy one: We’ll learn about the iPad 2 in less than a week. 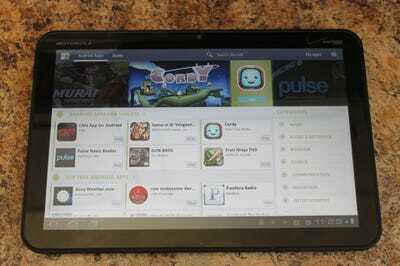 Buying a Xoom today could prove to be an $800 mistake. Tabbed browsing! Why doesn't the iPad have this? But some sites revert to the mobile version when you visit them. That's pretty annoying. 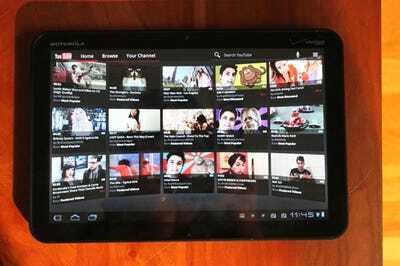 The volume buttons are small and difficult to control when the Xoom is in portrait mode. The power button is really tiny. We had trouble finding it at first. A camera with flash! But the photos and video quality are horrible. 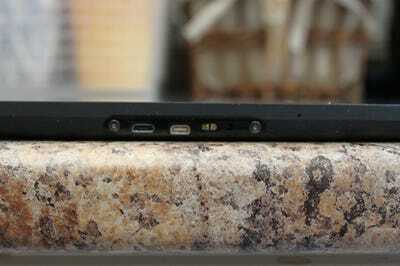 On the bottom there's an HDMI out, USB, and power ports. The YouTube app looks great. This angle shows how streaky the screen gets after just a little bit of use. Gross. 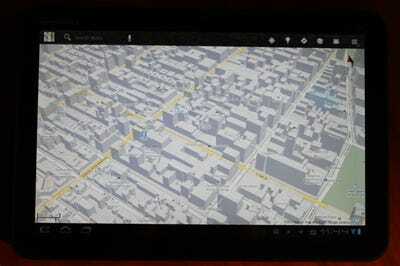 The Google Maps app is far superior to the iPad's. 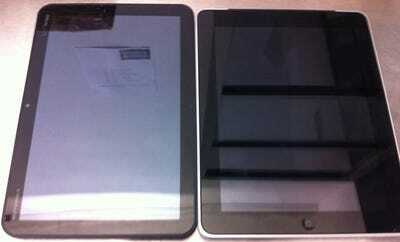 Here's what the Xoom and iPad look like next to each other. 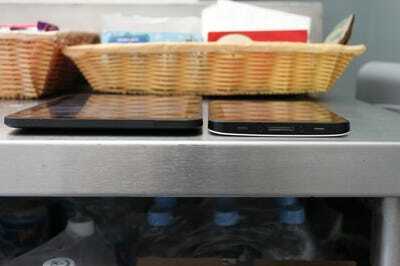 You can see the Xoom has a slightly taller screen, but the iPad is wider. 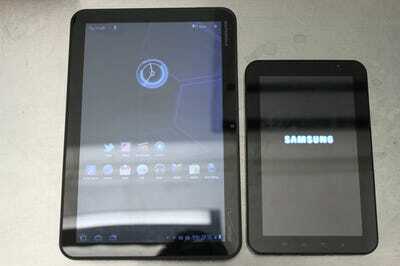 Here's the Xoom next to a Samsung Galaxy Tab. 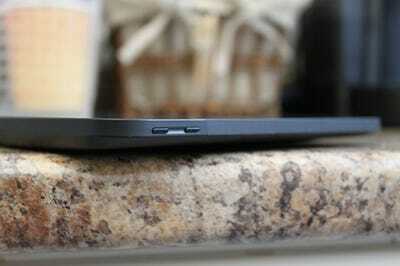 The Xoom is slightly thicker. I'll take a 10 inch display over a 7 inch any day. The Gmail app has been refreshed for Honeycomb. It look great. 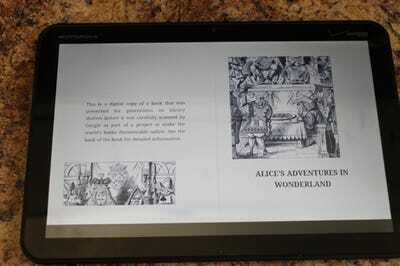 Google Books is built in and syncs with your collection. Check out the cool library view. 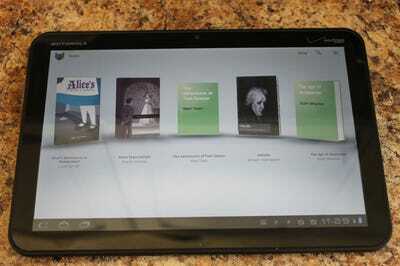 It's comfortable to read Google Books on the Xoom. Pages load quickly. The Android Market has been redesigned for Honeycomb, but it's still a bit awkward to use. There aren't too many Honeycomb apps available yet. 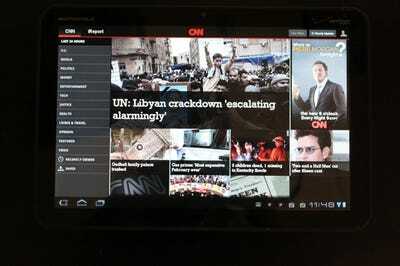 The CNN Honeycomb app is gorgeous, just like it's counterpart on the iPad. 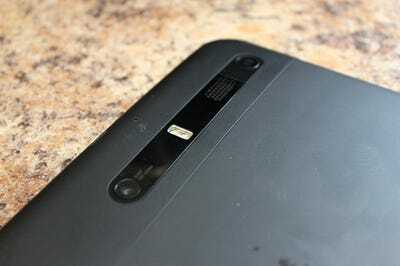 Want to see a great Android phone?